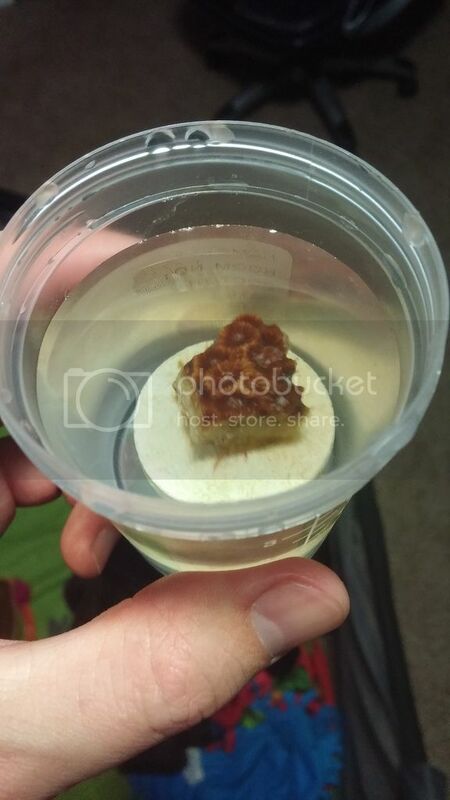 Forum Name: Frag Grow-Out Competition (NEW)!!! Introduction: The concept is pretty much straight forward, a challenge to see who can grow out a coral faster than anybody else. How to Play: The frags will be available on a first come first serve basis starting at the WMAS November meeting on November 3rd at the Rose Garden Building Sugar House Park (1601 East 2100 South Salt Lake City, UT). Each participant will be required to fill out a short application form giving information about the system where the frag will be placed. If you cannot make it to the November meeting to pick up a frag we can still put you on the wait list to pick up any remaining frags not claimed at the meeting. 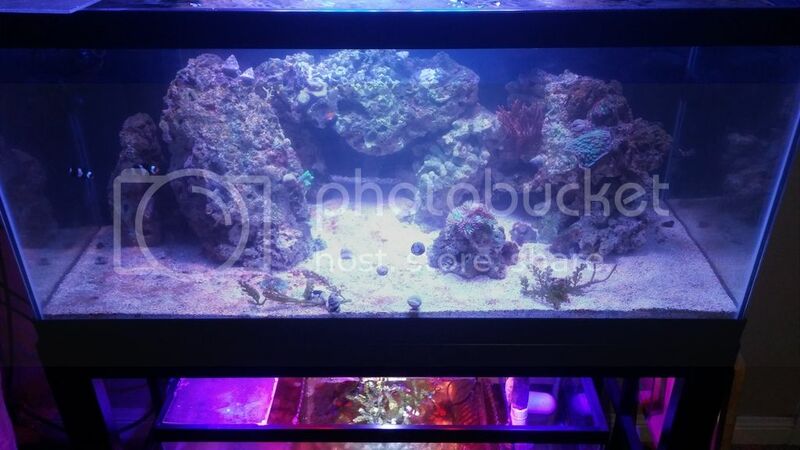 The Coral: Special thanks to Aquatic Dreams for donating this awesome colony of favities. 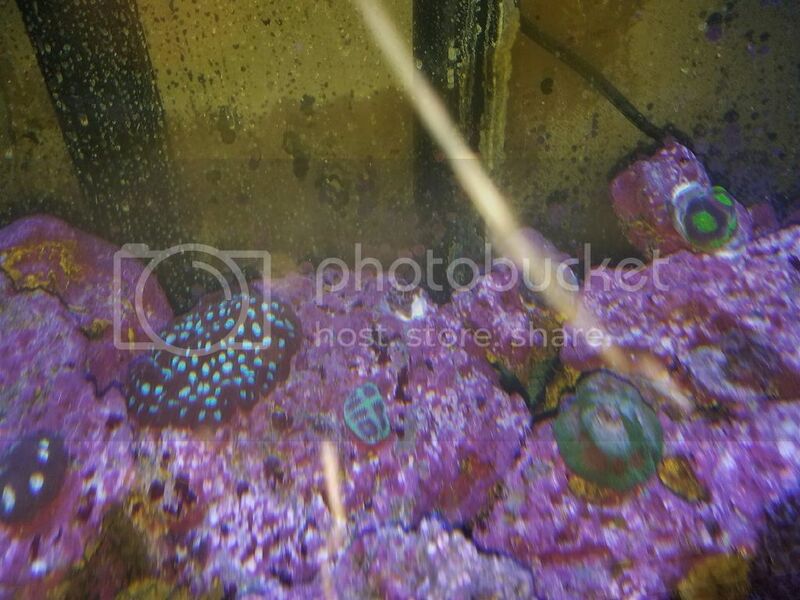 This colony has a lot of potential and we want to see who can give crazy color and grow the fastest. The contest will end in February and prizes will be given to the winner at the March meeting. Feel free to ask questions and stay tuned for further details and rules. I'll gladly do it but I will probably have to miss the meeting due to work. Phys, we'll put you at the top of the waiting list for any frags not picked up at the meeting. Sleepingdeep, you never know what magic Landon and Hogie did on this one. Try it you just may surprise yourself. I'm in on this. I also think the frags should be passed out randomly with no cherry picking. Landon did a great job cutting. 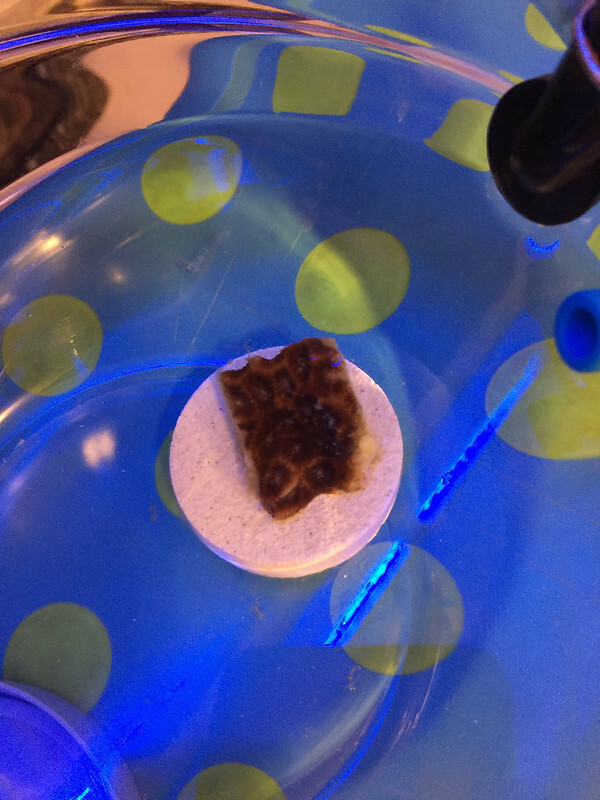 All the frags are pretty chunky at 3/4" to 1" and are pretty uniform. Of course there are a couple that are a little bigger, but all of them look pretty darn good! And again, Aquatic Dreams was extremely generous in helping support the club. If you haven't been there, it's worth checking out! I am very excited about this! I've never tried my hand at that type of coral before. Looks pretty. Will there be an update soon on rules and criteria for judging? I'm working on official rules and judging criteria for the contest. The problem is I'm out of town until the next Sunday. If you have questions about something specific I can let you know what i have. I can tell you there are a few posibilities for judging criteria but it's not set yet. Are there any updates here? I'm very much looking forward to participating in this contest. 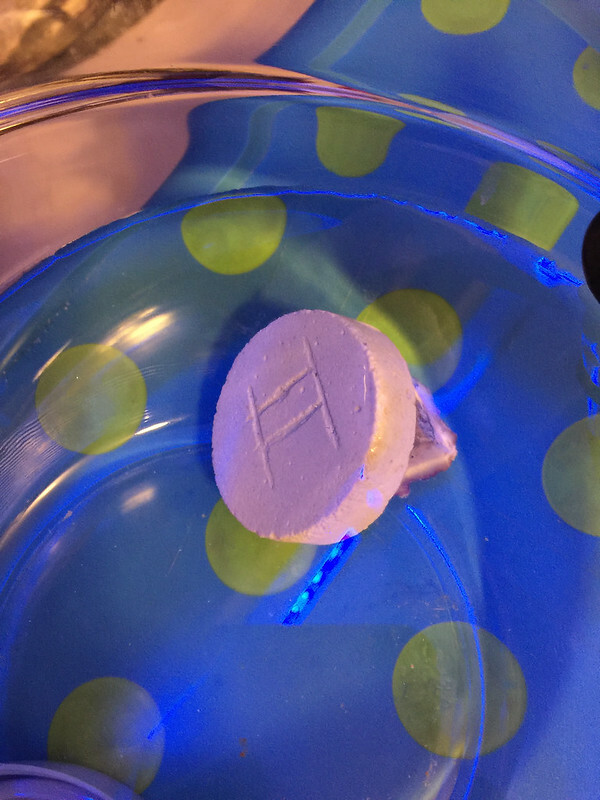 The frags are healing in Landon's tank. He's planning on bringing and handing them out at the Nov. meeting! I was wondering more about the rules, criteria for judging, etc. 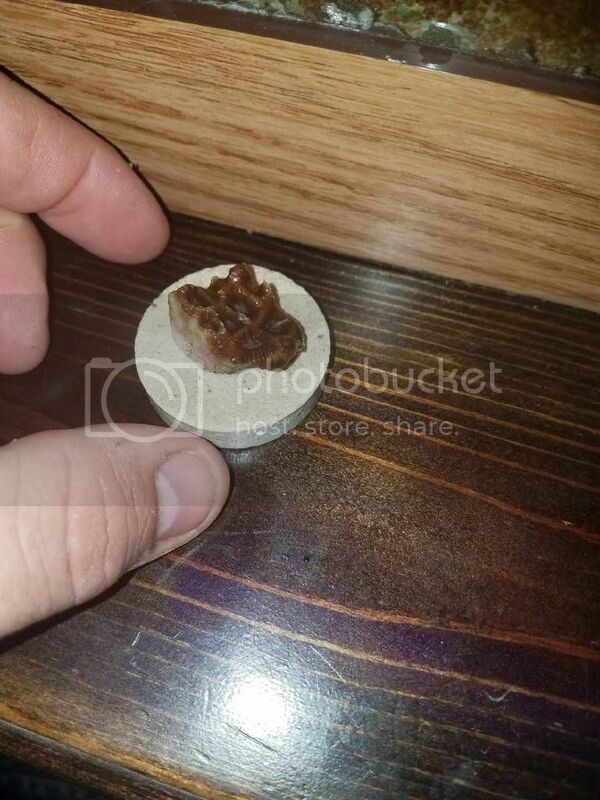 Are these frags loose or attached to plugs? They are attached to plugs. Okay, so I have a request. May we be allowed to do whatever we want with the coral frag to help it grow fast as possible. Would that be okay? Also, I have two separate systems and would like to grow two separate frags if that's okay. If there are enough frags, of course. 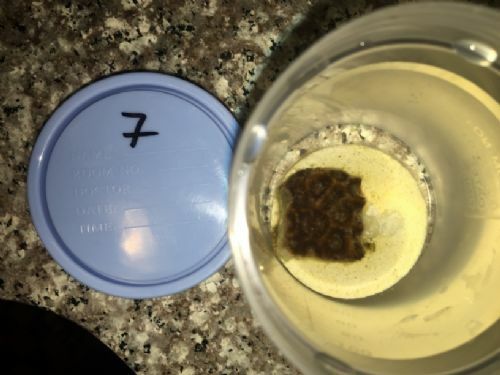 Isn't the purpose of this exercise to in fact alter the coral frag? 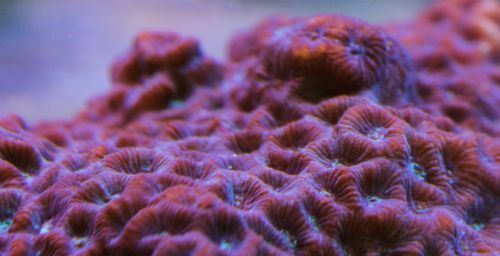 Isn't the purpose of this exercise for considering different techniques and finding the best/fastest ways to grow this specific coral? 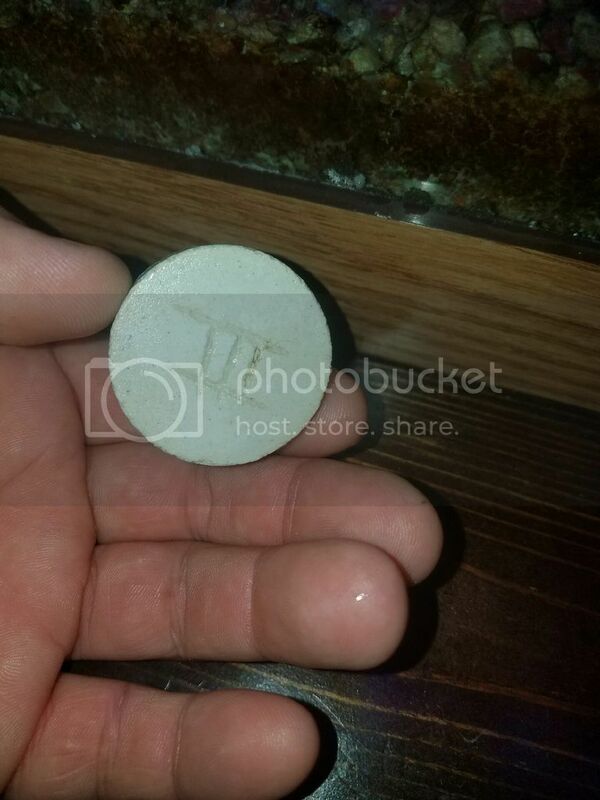 If so, we should consider that a coral may do best and may grow faster when it is moved off the ceramic plug/disk and attached directly to a natural substrate, i.e., glued directly to LR. Most people I hang out with agree that gluing plugs to the aquascape makes for an unattractive reef aquarium. Waiting for the stony coral frag to overgrow a plug can be a long wait and oftentimes the unnatural plug shape can be seen, albeit disguised, under the growth. Thank you for your consideration of allowing us participants to do whatever works best. Thanks Dennis. I'll be giving it a shot but I'm not so sure of the outcome. The first frag is going into a 5 gal tank I set up 2 weeks ago. What are you(we) doing up at this late hour? 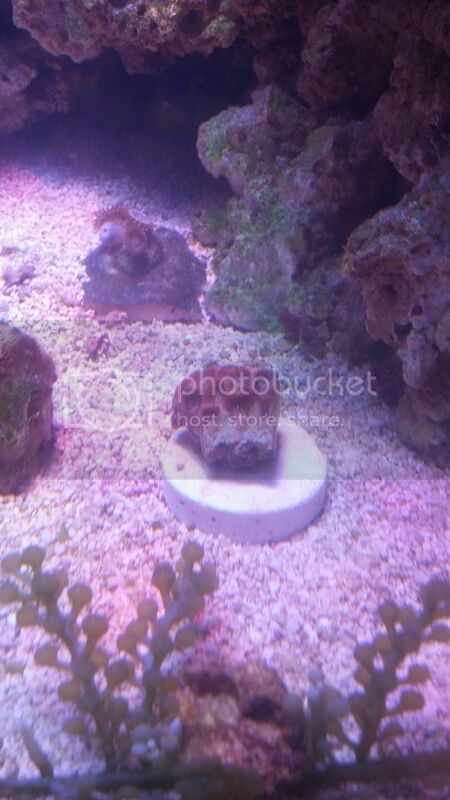 I do not have substrate in my reef, so unless I get a frag on a plate, it's coming off and going onto some rock work. I would still love to read about the rules before I commit to the contest. That's it. Pretty simple, IMO. If we use the guidelines above there is no need to distribute frags as though they were a prize drawing. Just give us each any frag and let us grow it. It may be surprising to find what conditions worked best for this coral. After this is complete, we can choose another coral and do it again. Rules have been posted in it's own thread. Lets get this party started! Number 2 here! Yes, I have 2 frags still available. I'm looking forward to the ongoing results of this educational contest. The underlying white skeleton is visible, indicating significant damage in four of the six frags pictured in posts above. 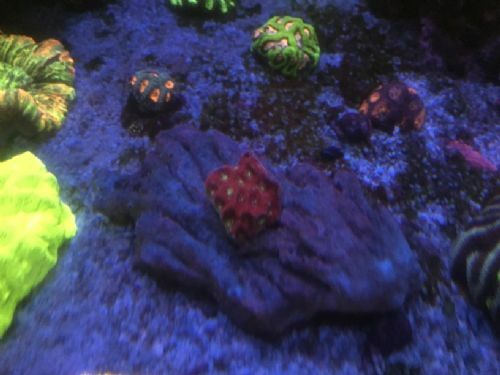 What this means to me, for purposes of the contest is that these damaged coral are at a slight disadvantage or handicap. 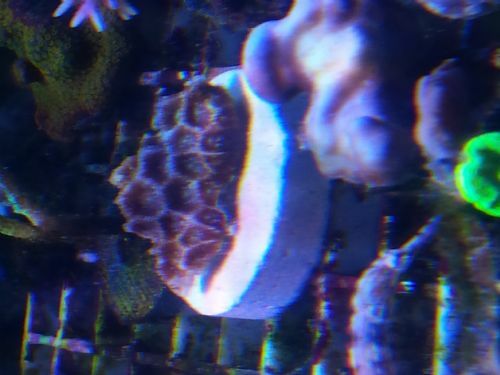 A coral colony expends energy trying to repair damaged polyps, yet at the same time it is trying to acclimate to the new tank, new water conditions, new water flow and new lighting. During this time of repair and acclimation, new expansion growth may slow or even stop for a while. Daily feeding of a 25-100 micron sized dry food can help the coral survive and then recover. The feeding can be targeted or broadcast. 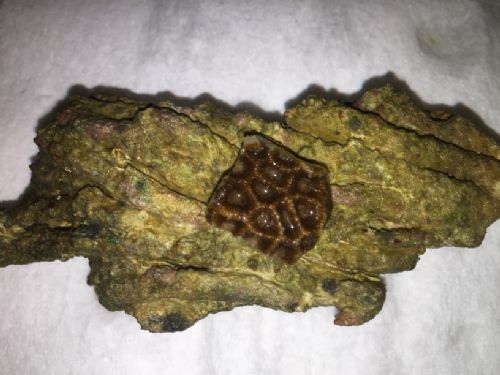 Just thought it would be helpful to point this out, especially for those that may be novices to this type of coral. Since the meeting on the 3rd, the flesh on mine has healed and is starting to grow over the bare skeleton a little bit. 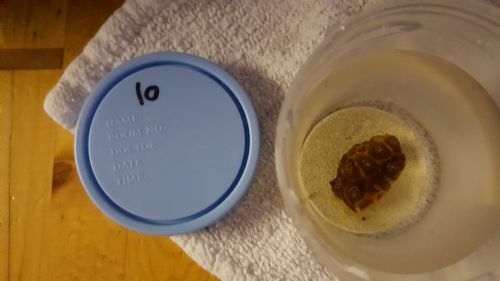 If the majority of the frags are showing signs of the tissue being damaged, then the majority of us are relatively "disadvantaged" equally and are starting this contest at relatively the same place. Sit back, relax, have a drink of your choice and watch the healing process take over. 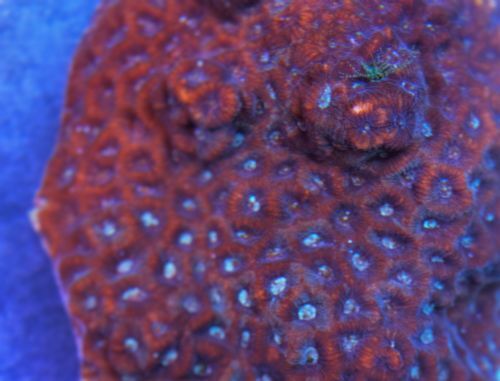 Like Evan127, my frag also appears to be slowly growing flesh back over the top of the wall. Please don't misunderstand. I'm not at all concerned about the competition. 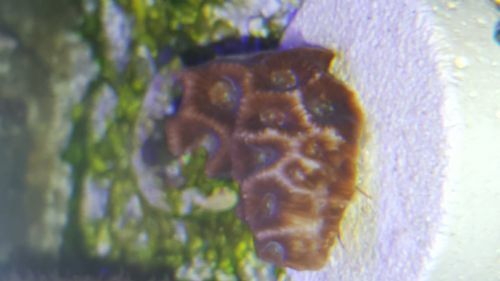 I brought this up for the benefit of those participants that may be having concerns about their frag not looking like the original colony. Mine looks great today, except for what looks like a bite out of it. I'm a little worried. 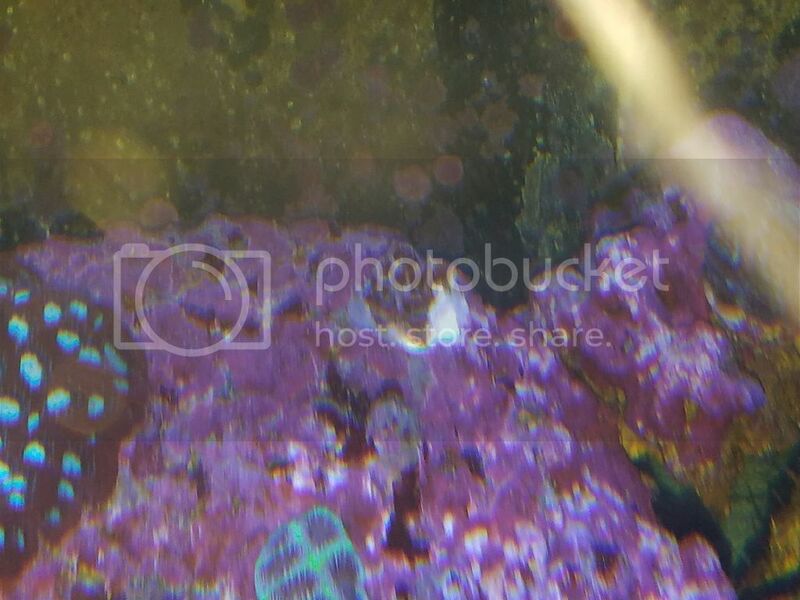 It could be my bicolor blenny. I've seen it nip at all my corals. 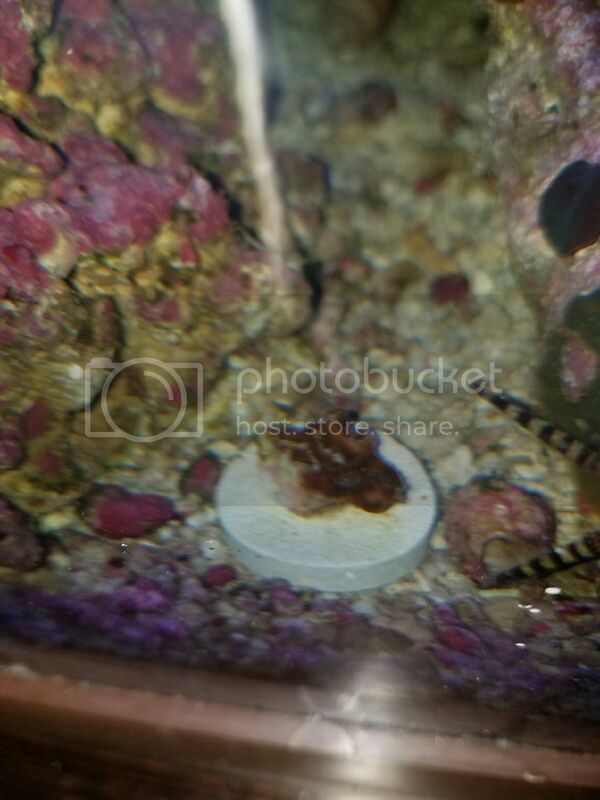 Edit: my bicolor blenny is snacking on the coral. Sounds like a fish that needs some training/conditioning to stop bad behavior. Because fish learn quickly, it usually only takes a couple instances of jabbing at the fish and momentarily chasing it with a stick to scare it away from bothering the coral ever again. You know what else I do to keep an LPS coral from getting cut up by its own Septa? I turn the coral upside down, jiggle it underwater and wait for it to shrink/dehydrate before pulling it out of the water. Shrunken polyps hanging away from the sharp Septa can't get cut up. 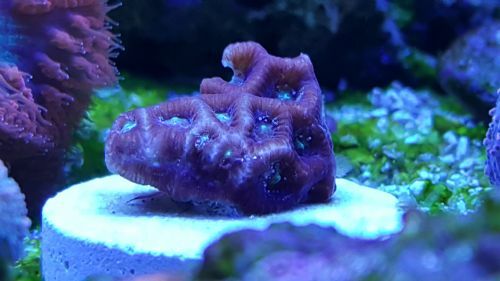 The reduced weight from less water in the polyps also causes less strain on its connection with its skeleton while it's upside down being moved from tank to bucket and back. While I'm on the subject, I'm reminded of how I sometimes use styrofoam pieces attached with an elastic to float Caulestrea, Euphyllia, other LPS and even SPS coral upside down in the transport bucket or bag. I guess you might say that these are more Reefkeeping Tips that I'm sharing with you from my bag of coral farming secrets. We are a couple days out from when our pictures are due. 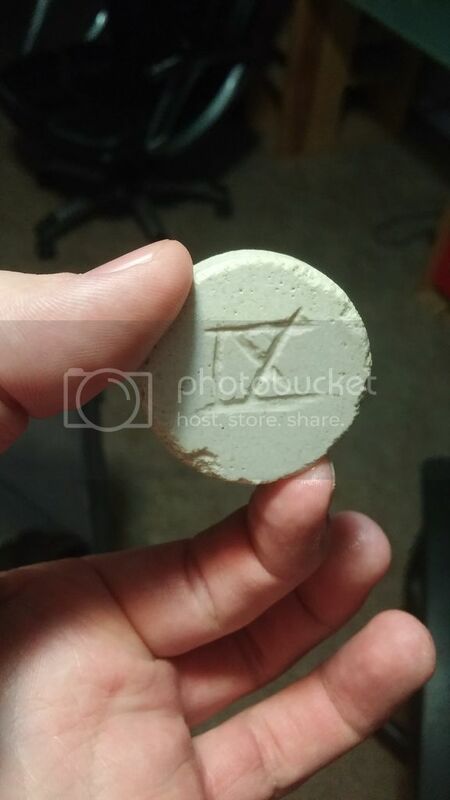 What is the criteria for photo information and will there be a thread for photos coming up soon? Yes, expect the new thread on Tuesday. Easy questions to go along with it. You'll see it Tuesday. I will be unable to take or post pics until Thursday at the earliest. I don't want to be a trouble maker but can I have a pass until Thursday or if the tread is up I can post Monday night. Not a problem. You have 7 days to post your picture and answer the questions.